Few Important Points to Know Before Starting a Blog. Are you thinking of starting a Blog? Maybe you recently started one, and you are thinking of giving up on blogging. If you are one of the above, then this post is exactly for you. In this article, I will go through ” Few Important Points to Know Before starting a blog? ” You still might find the post it useful if you have already begun one. If you ask a person What Blogging is then either he will answer “Blogging is just a waste of Time” or his answer will be “People are making easy money out of Blogging “. Only an individual who has been blogging for more than a year knows that neither of the two statements is correct. If it would have been so easy to earn money from blogging why anybody would do 9 to 5 Job. Yes, you heard it right, the bitter truth is that it is not all easy. No, I am not discouraging anybody in any way, but the path ahead of you won’t be great. If you think that you will be able to generate loads of money after a month or two of blogging, then you are living in a fool’s world. Many successful bloggers continued blogging for months and years without earning a dime. Most of the newbies start a blog after seeing its monetary benefit. If you are one of them, I don’t recommend you to waste your precious time in blogging. I request everyone to start blogging if you have adequate time for it. It is not something you can do once or twice a week and hope to get success. Content is the most important thing in the blogging. It is the way you write and present to your readers which will set you apart from the crowd. You need to have good writing skills so that you can hook your visitors to your blog. If you are writing skills are weak, I would recommend on improving it. People love long articles, and even Google does. Never think that you will be successful by only copying others content. You have to write your unique article to be a successful blogger. Niche selection is very crucial. A niche is a topic which your blog will covers. For example, this blog comes under the blogging niche. It means you won’t find cooking recipes here or some entertainment news. The narrower your niche, the better it is for your blog. Make sure you are not competing with big brands on Google. If you are then your dream of being successful will only be a dream. Make sure you spend enough time in selecting a proper low competition niche or else you will end up in wasting both time and money. 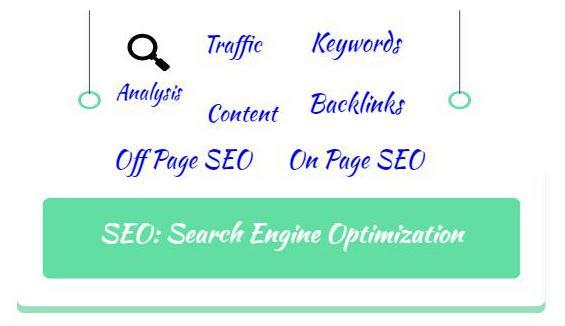 SEO is an acronym for Search Engine Optimizations. It is a process of improving your visibility of your blog in search engine. The search engine provides millions of blog with free organic traffic. This what most bloggers want after writing something worthy in their blog. SEO is divided into two categories – On Page SEO and Off Page SEO. On-page SEO refers to all measures that can be taken directly from the website to improve its position in the search rankings. 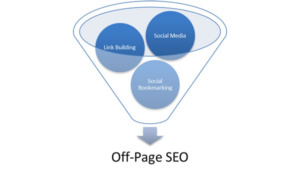 Read more at – What is off page SEO? You should know the basics of SEO before starting a blog. You must be updated with the changes happening in SEO space because it directly indirectly will affect you. Backlinko a blog founded by Brian Dean is my pick if you are interested in learning SEO and mastering it. You need to love what you do so you can do it anytime and anywhere. If you are not passionate about your blog, then you will end giving up. Your niche should be such that you can easily write about it. You cannot choose a topic because some XYZ blog is earning 500$ a day writing about it. The topic should be such that you have grasp over and easily write about it for years together. If you are not serious about blogging, then you shall never earn a dime or get visitors read your blog. Creativity is crucial in blogging. You need to creative if you want to stand apart from the crowd. Readers should have a reason to read your blog. You should mesmerize them. It should be such that people visit your blog again and again. You can attract your visitors only by your content. If you successful in doing it, your future is bright. Most bloggers leave blogging after a few months the obvious reason being money. It is important that you don’t keep the money as the priority after starting a new blog. If you can convert your visitors into loyal readers, then you are the boss. Your blog should be valuable for your readers. This will help you in creating your brand image in the web space. Your primary focus should be in providing good content to your users on a regular basis. 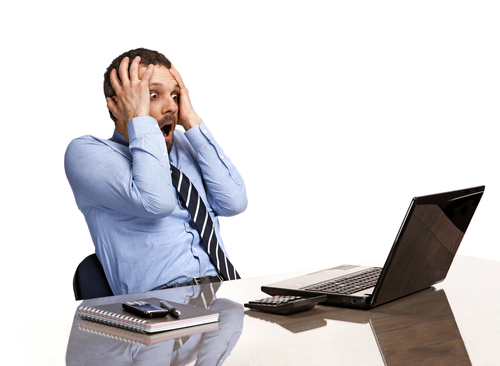 Nobody can master blogging in a day. You learn it daily, from others or your mistakes. Keep following good blogs to understand what is right and try to implement them in your blog. Learning is an endless process which is the same for blogging. Make sure you are passionate about it. It will help you in becoming a respected Blogger whose content people would love to read and share. If you are also looking for the best domain registrar, be sure to check out Namecheap Vs Godaddy. Or explore best hosting service providers Bluehost review, SiteGround review, Godaddy and A2 Hosting review to find the right hosting company for your needs. Also, Read some of the best resources for your blog. I hope I would have cleared all the myths you had about blogging. Blogging is not a cup of tea for everyone. Take blogging as your business if you want to make a living out of it. You need to develop good writing skills to mesmerize your readers. Lastly, you need to be creative in doing it so you stand apart from the crowd. If you got any query in your mind, feel free to drop it in the comments section below. If you find this article useful, please feel free to share. Thanks, Ali I am glad you like it.